What a helpful book. Clear: it focuses us on Jesus. Wise: it reminds us that his work on the cross is sufficient. Rewarding: it offers reflections and prayers that reveal the treasures of John’s Gospel. A great resource to use through Lent. Buy it for yourself and give one to a friend. 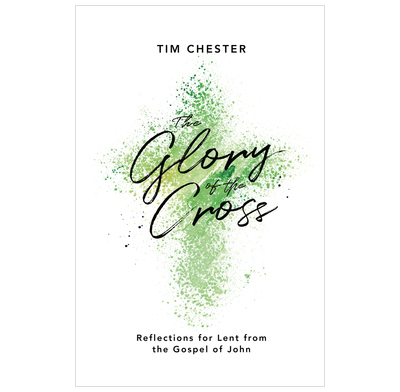 Lent is usually a time for fasting, but this new book by Tim Chester will help you to enjoy it as a time of feasting on God’s word. Short yet profound daily readings in John’s Gospel, which are deeply devotional without sacrificing exegetic rigour, will help you to meet Jesus and to gaze on his glory as revealed by his word and actions, and especially through the cross and resurrection. Suggested prayers and mediations will help you to apply these truths to your heart, strengthening your faith and love for Christ. Although structured especially for use in Lent, this book would be spiritually profitable for daily readings at any time of year. So clearly written and heart-warming, accompanied by a judicious sprinkling of quotes from hymn-writers and luminaries of the Christian church down the centuries, united in finding glory in the cross because of the One who died on it for us. What a splendid resource for Lent!